Use of our new system. The information below reflects the use of the new web site for the past seven days. We had 431 visits by 269 people (many accessed the site more than once) and they viewed 1696 pages or an average of 3.9 pages per visit. Average time spent on the web site during a visit was 3.5 minutes. 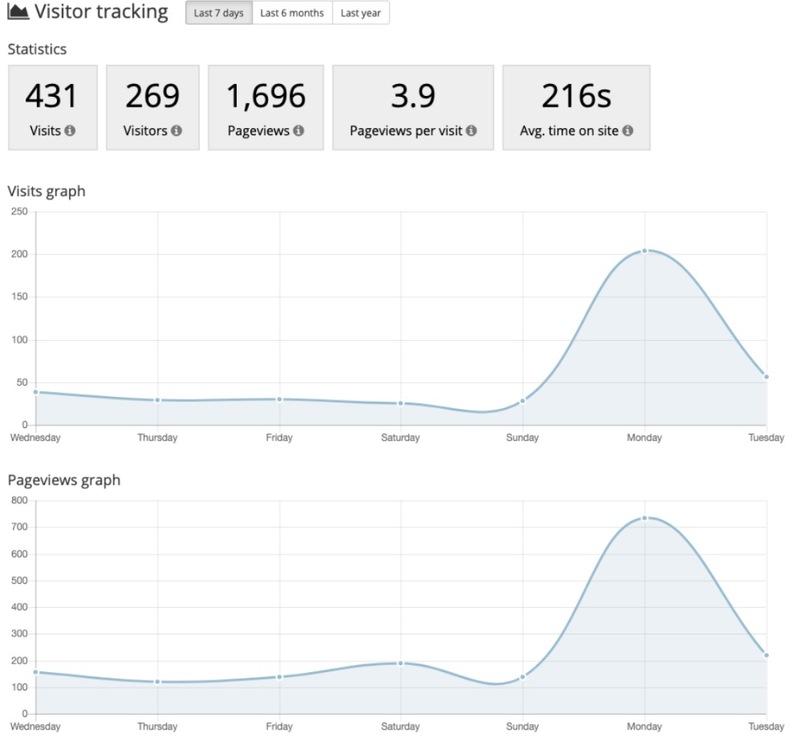 Note that the most visits occur just after "What's happening....." is sent on Monday morning.